See the latest trends in teen, tween and kid fashion. Super-sized and super slow-rise! Squish it, squeeze it, and watch your super soft squishy slowly transform back into its original shape. Get two pillows in one with our new reversible sequin pillows. Simply swipe your hand right and left to change the image. 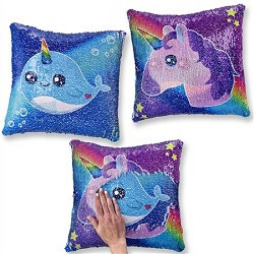 Here at Top Trenz, you’ll find the top trends kids, tweens and teens love, including our wide selection of slow-rise Squishy Squad toys and awesomely unique reversible sequin pillows. We have trendy fashion accessories for girls and boys interested in everything from sports to unicorns. 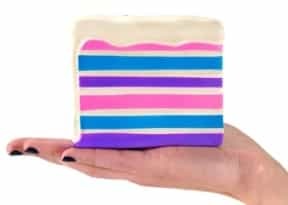 These toys are perfect for adding fun color and style to bedrooms and dorm rooms, and they are great for slumber parties and sleep away camp, as well. We have stylish blankets and pillows in all shapes and sizes, including emoji pillows, scented donut pillows, and animal-shaped pillows for decorating or snuggling close. Our products make great birthday party favors as well! From our sequin backpacks and reversible sequin pillows to our unicorns and Squishy Squad toys, we have the trendy fashion accessories and toys your kids need to stay the coolest kids in town! Shop around to enjoy our wide selection with free shipping on select orders, or give us a call at 631-254-8499 to have our team of experts help you find everything you need. Follow us on social media for a chance to win free products and stay up-to-date on the latest trends.